I wept because I would never go back, but I want to close my eyes and relive the moments and gifts that took my breath away. Allow my memories of the past, the joy and sorrow of yesterday, to fade into the background. And, bring into perfect focus in my heart and mind Your blessings of love and laughter that fill my home today. Again---amazing---you nailed my Christmas tree decorating this year! 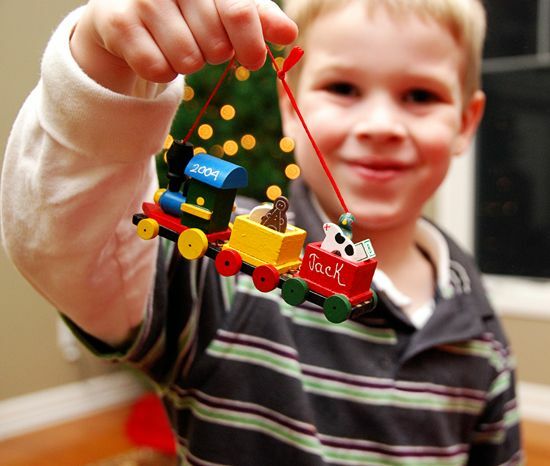 I found myself doing the same thing as I pulled out ornament after ornament that held a story. I miss my mom profoundly at Christmas...especially when I struggle with being a good mommy-wish she was here to encourage and listen. Focus is so important! Thanks again for seemingly putting my own thoughts down in writing. Wow, what an amazing post. You have certainly touched my heart this morning. You are such an inspiration. This is so beautifully written, Sarah. And the picture of Jack is perfect. Thank you for sharing these moments. Sar! Dangit! I'm all teary-bleary eyed now. Beautiful post. Love you my friend! Beautiful, Sarah. I just heard a little devotion on the radio that was very similar. Taking time to enjoy the routine of our life now, for we do not know what tomorrow holds. They read a letter from a cancer patient that was wishing for the mundane, everyday, normal-ness. Even folding a load of laundry can be special, as we thank the Lord for the children and husband He has blessed us with. You have such a gift, many gifts actually Sarah. But your way with words is such a blessing. Beautiful post... loved it. Thanks for sharing your heart with us. You are a gift girlie. You have such a gift and talent in writing from the heart! Thank you for the wonderful reminder! sniff, sniff...so true! I keep looking forward (as you might look back) and gotta remind myself that what God has given me now is so special :) Love you all - not too much longer!! I wish I could share my heart the way you do. I tried on my blog and it bombed. Instead of people hearing my heart they heard pain and disappointment which was not what I was trying to share. I ended up deleting the post. One more reason to journal in a book and not on the internet for me, LOL. I long for the days of years gone by. I'm thankful for where God is leading me each day even if the path is totally foreign to me. I am blessed for what was and for what is yet to come! Love you Sarah and I'm thankful that you could share what my heart feels. Wonderful post from the heart!!! I think we can all see ourselves in it. I feel you on this one sister. One thing I always think about at Christmas time is Mary. I think of her delivering a baby in such rough circumstances. I think of her nursing her new baby and wrapping him up tightly. I think of how I have done with same with my own babies. This Sunday at church, my husband is singing "Mary, Did You Know". It is going to be beautiful and so powerful. And I am going to need extra tissues. That song explains so much about how I feel about Christmas. It's always good to start the day by cleaning out the tear ducts. :) good reminder; we are very blessed. I get sad that things are moving too fast. I want to freeze time right now and keep the kids little and Scott and I young; keep our grandparents with us, our parents healthy-- We'll let time move forward for Rach and Em, but you'll want to freeze it soon enough sisters. Each day is such a wonderful gift. I usually read your posts during my lunch break because I'm pretty much guaranteed to laugh about something you wrote. However, today you've got me fighting back tears because I can relate so well to some of your "I wept" comments. Thank you for the much needed reminder to look for the blessings in today rather than dwelling on the past. I'd give you a hug of thanks right now if I could! Beautiful memories...even the hard ones. I love your heart.